From 334 B.C.E. to 323 B.C.E. Alexander the Great marched with an army conquering territory in the name of Greece (Wikipedia Contributors). He marched from Greece, conquered Persia, and eventually moved into India at the end of his campaign. Though there were many logistical concerns for the young conqueror, hostages were an important way to consolidate power and ensure accurate military intelligence. Hostages served as important way to consolidate power in newly conquered areas. Arrian records several specific instances of Alexander taking hostages. At the battle of Issus he “forgave the debt of fifty talents still owed him from the fine he had imposed on the citizens of Soloi, and restored their hostages” (Arrian 77). Near the Hydraotes River Alexander also took hostages from the city, specifically “a thousand of the tribe’s strongest men,” but eventually “released their hostages” (Arrian 250). By actively restoring hostages in these two situations, he would have been able to help foster good relationships with his newly conquered people by creating a merciful image. 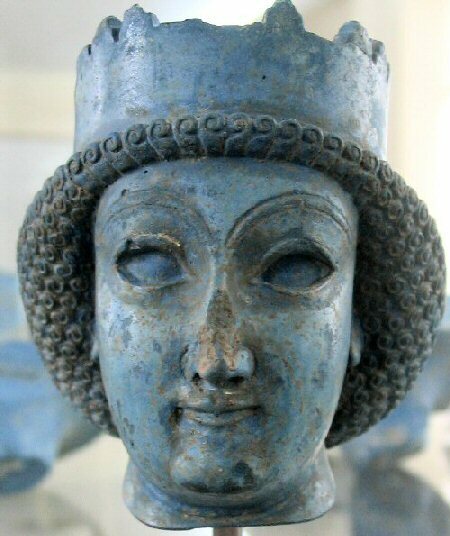 "Small Bust of a Persian Woman." Persepolis Archeological Museum. Livius.org. Jona Lendering. 23 Mar. 2007. Web. 15 Mar. 2012. Marriage also served as an important way of consolidating power for Alexander. One of his wives, the Persian Barsine, belonged to a powerful Persian family and had been kept at the Persian court as a hostage to ensure the loyalty of her husband Memnon (Lendering). Though Alexander’s marriage to Barsine is not described by sources at the time specifically as a hostage situation, the marriage did serve as a way to keep Barsine and her powerful family close at hand. Hostages also served as an important way to ensure the accuracy of military intelligence. Since Alexander often relied on local people for information about neighboring towns, “sometimes relatives of the guides would be taken as hostages to ensure good performance” (Engels 332). Since Alexander was conquering the homelands of the people he was seeking to gain information from, such insurance was certainly necessary. Arrian. The Landmark Arrian: The Campaigns of Alexander. Ed. James Romm. Trans. Pamela Mensch. New York: Pantheon Books, 2010. Print. Engels, Donald. “Alexander’s Intelligence System.” The Classical Quarterly 30.2 (1980): 327-340. Web. Lendering, Jona. “Barsine.” Livius.org. Jona Lendering. 23 Mar. 2007. Web. 15 Mar. 2012. Wikipedia contributors. “Alexander the Great.” Wikipedia, The Free Encyclopedia. Wikipedia, The Free Encyclopedia, 10 Mar. 2012. Web. 15 Mar. 2012.